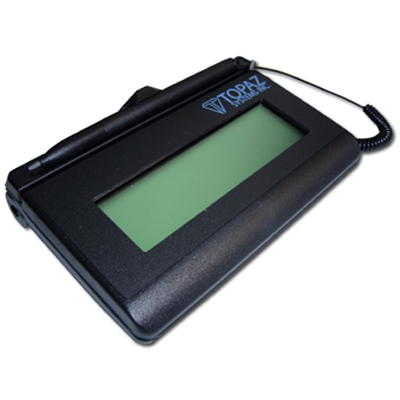 All our products are designed for accuracy, reliability, and portability. 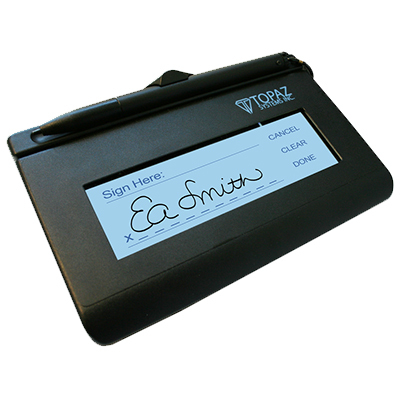 The smallest LCD signature pads size - 1" x 5" (25 x 125mm) provides a broad screen to display information and capture signatures whilst maintaining a small footprint and portable style. Connection options include HID USB; Serial, Virtual Serial, and Bluetooth. 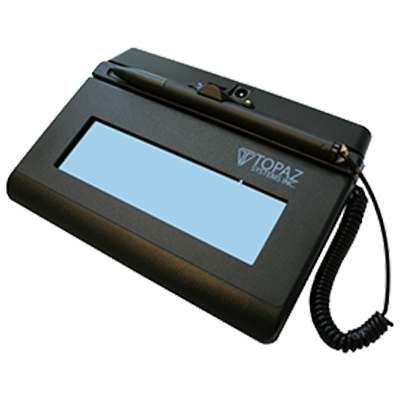 The 1x5 models are available with a touch-sensitive SigLite sensor and stylus in place of the electromagnetic SignatureGem pen and digitizing surface. 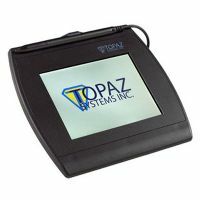 Most models support interactive applications, allowing data to be displayed on the LCD as well as capturing signatures. 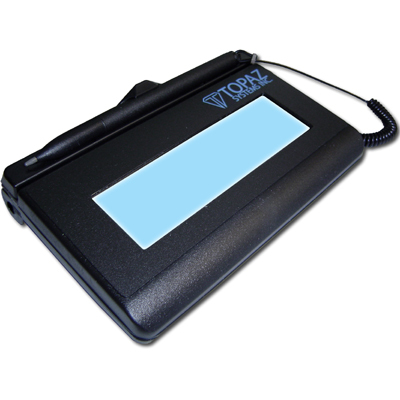 Low-Cost LCD Electronic Signature Pad with Serial (RS232) HID USB connection.